t*rexes and tiaras: pack up your troubles in your old kit bag.. I really do like this blazer; I know it's quite oversized, but that sort of appeals to me with this. 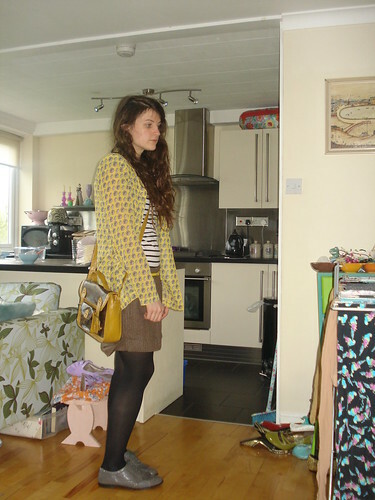 But it doesn't really lend itself to 'smart' outfits, so I tend to wear it with shorts, since I'm not a trousers girl. (I seem to be back down to just three pairs of trousers now after having an outsort of the pairs which didn't fit!). So I figured this would do as a bit of a thrown-together, rainy, dress-down Friday outfit. My friend recently gave me this giraffe necklace, which I really like, and the brogues are nice and sturdy as well as being waterproof, although I can't help thinking they make my feet seem really big and mannish. I still have lots of books for sale here, although I'm probably going to dump them off at the charity shop at the end of the week as I want to clear the space, so do let me know if any take your fancy! Hope everyone had a nice weekend despite all the rainy weather - typically it's been dry all day today. 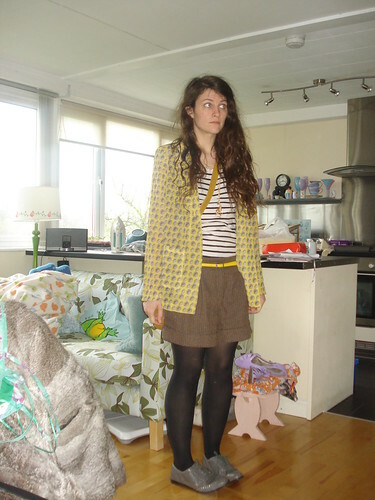 I love your patterned blazers. I've just bought a spotted one. 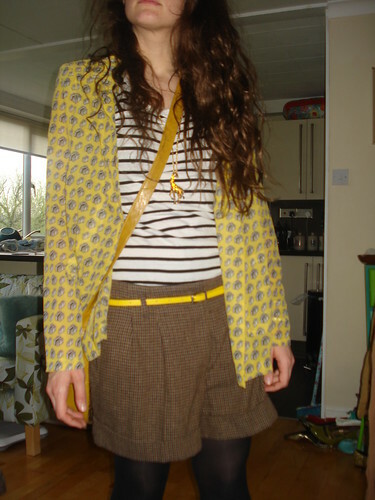 I like the shorts and blazer thing, I think you're right, it's dress down but still really interesting. 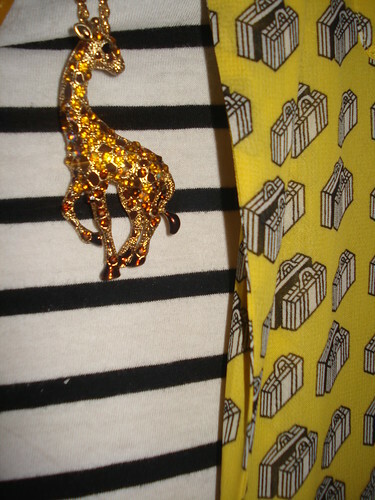 I just got a top with giraffes on at a charity shop (Henry Holland) - I think I must have been inspired by your wardrobe zoo! blazer and shorts, such a great combo. Tres jealous of your blazer! I love the blazer Char, you always have such fun clothes!